I began working at the Center for immigration Studies in 2009, after a long career in journalism. I didn't agree with some of the positions taken by CIS. But my work as a reporter had shown me that it does valuable work in raising concerns about the effects of immigration, particularly illegal immigration. One of the first major projects I pursued was an investigation into the Southern Poverty Law Center and its attacks on restrictionist groups as nativist and bigoted. That tactic has had a chilling effect on the national debate, silencing people who fear that if they express their concerns they will be accused of being xenophobic haters. 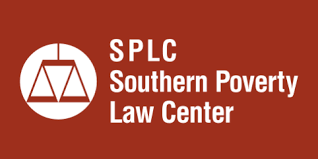 As a former reporter, I have been particularly concerned that many reporters — including several at the New York Times, the New Yorker, and National Public Radio — have been complicit in SPLC smear campaigns. They have failed to meet the fundamental journalistic responsibility to scrutinize the claim of the SPLC's Heidi Beirich that CIS and the Federation for American Immigration Reform are "hate groups". Instead, they have simply reported the smears, as if the SPLC were an independent, public interest watchdog and arbiter of legitimacy in this national debate. Some reporters appear to be the SPLC's co-religionists in the church of unconstrained inclusiveness and unlimited immigration. And so it is with some satisfaction that I have learned that the Southern Poverty Law Center has agreed to pay $3.375 million to settle claims that it egregiously defamed a Britain-based foundation as "anti-Muslim extremists". In a remarkable admission of the shoddiness of its previous work, the SPLC said, "Since we published the Field Guide, we have taken the time to do more research and have consulted with human rights advocates we respect. We've found [that the foundation has] made valuable and important contributions to public discourse." Anyone who gives fair consideration to the work of CIS — hundreds of reports, analyses, commentaries, and blog posts every year — understands that we make valuable and important contributions to a complex and fraught national debate. But in an environment where many advocates of unconstrained immigration are not inclined to give fair consideration to opposing views, elite reporters have repeated and amplified the SPLC's shoddy claims. This has polarized a debate that needs to be informed by serious analysis, not inflamed by gut-level hostility and relentless fundraising campaigns. The SPLC has taken in hundreds of millions of dollars in contributions from liberals who are well intended but poorly informed. While claiming to expose hate groups, it has become a hate group itself. It is good to see it take a hit in the wallet.